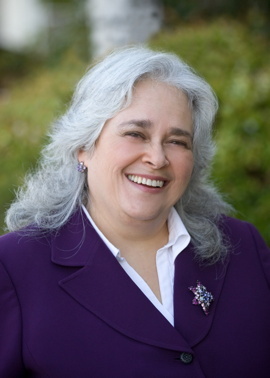 I have been practicing family law in Contra Costa County for over 25 years. I have known since entering law school that I wanted to practice family law, because family law is all about people. I view my law practice as an opportunity to help people get through a difficult time with a resolution of their family law case that meets their needs, protects their legal rights, helps them navigate the family law legal system, and allows them to move forward with their lives. My hope for my clients is that they can look back on their case a few years after it ends, and feel comfortable with the resolution that was reached. I really enjoy talking with my clients, listening closely to their concerns, and finding out more about their situations so I can figure out what I can do to help. My style in dealing with clients is “hands on” – I do return phone calls, respond to letters and emails, and contact clients to check in if I have not had contact for awhile. My secretary also has many years of family law experience, and is similarly welcoming to clients. I always encourage clients to ask questions about their cases, and to consider all possible outcomes. My practice includes divorce, custody and visitation, child support, spousal support, property division, prenuptial agreements, post-Judgment modifications, paternity/establishment of parental relationship, domestic partnerships, family law mediation, consulting attorney in family law mediation, collaborative divorce, and litigation. My litigation practice is limited to Contra Costa County, but I handle alternative dispute resolution cases (collaborative divorce, mediation, consulting attorney and other non-Court matters) in neighboring counties as well. While there are some cases that are best resolved through litigation, in many situations a client will be better served, and be more satisfied with the outcome, if an out of Court settlement is reached. Each client’s situation is different, so I work with my clients to form an individual plan of action that will best meet their needs and protect their rights. All options are fully explored.